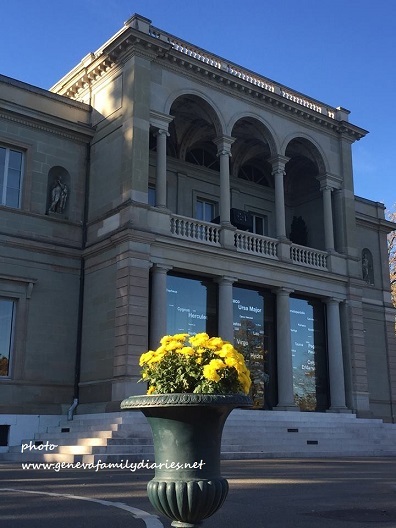 Small but perfectly formed, the Musée d’Histoire des Sciences is one of Geneva’s coolest museums, especially if you love science. 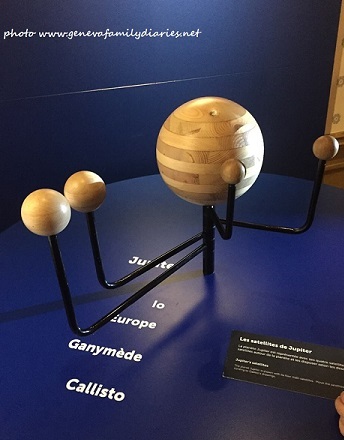 The museum’s current exhibition “Terre et Soleil” tells the story of how Copernicus, Galileo and Isaac Newton first put into doubt the ancient geocentric theories and subsequently provided their own theories of a dynamic system of planets orbiting around the sun. If you think this sounds too complicated for children, it’s not. The exhibition is laid out into clear and interactive sections that kids can touch and manipulate in order to gain a better understanding of how the 3 scientists came to their conclusions. 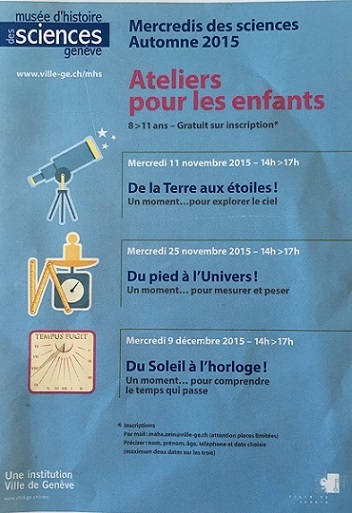 The exhibition “Terre et Soleil” will run until the 4th of April 2016, with various kids workshops in French suitable for ages 8 to 11, which are part of the museum’s “Mercredis des sciences” programme. The workshops take place on selected Wednesdays afternoon from 2pm until 5pm. 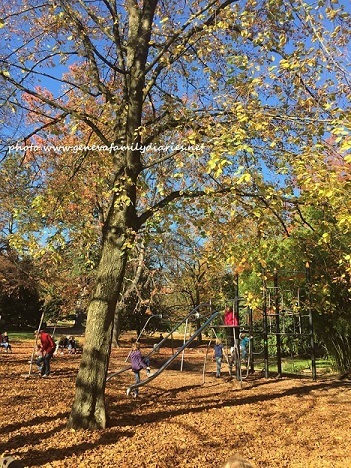 FREE ENTRY, but places must be booked in advance at maha.zein@ville-ge.ch for a maximum of 2 workshops per child. 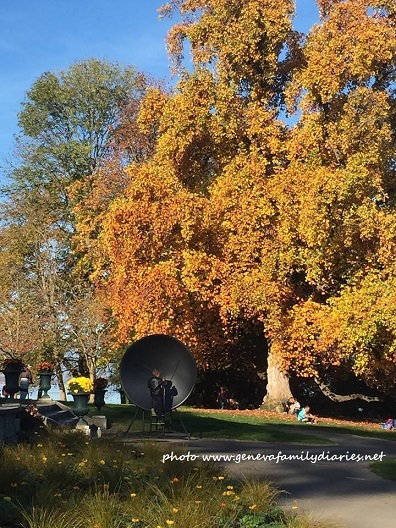 After visiting the museum, children can play with the fun interactive stations outside, including these fabulous parabolic mirrors, which reflect sound and voices from the opposite ends of the museum’s gardens. 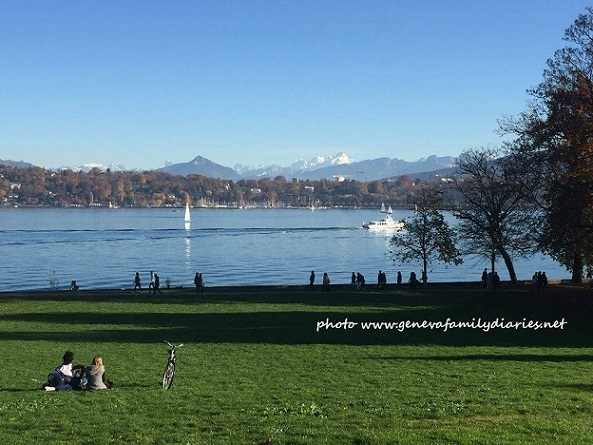 The Musée d’Histoire des Sciences sits at the heart of the spectacular Parc de la Perle du Lac in Geneva, so make sure you leave enough time for a nice stroll, a stop in the park’s playgrounds and to take in the breath-taking views over Mont Blanc. 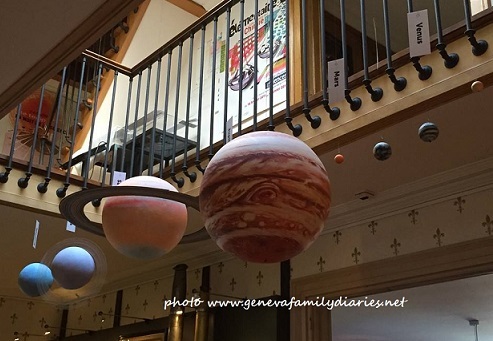 And, if you’d like to continue the journey beyond our solar system, you can learn about the discovery of the exoplanets at the Natural History Museum in Geneva! The first exoplanet was discovered in 1995 by Michel Mayor and Didier Queloz, while they were working for the University of Geneva observatory. 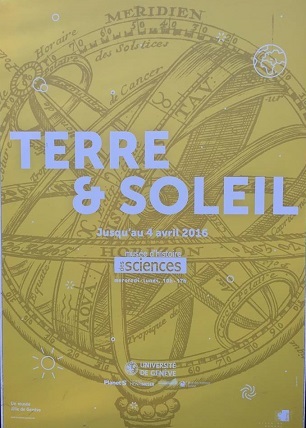 “Terre et Soleil” exhibition, on until 4th of April 2016 – FREE ENTRY.